Submitted by Olga Antzoulides on Wed, 09/08/2017 - 04:23pm. Cyprus is the place to be, especially for successful people looking for an environment that fosters entrepreneurship and investment. Citizenship of Cyprus makes perfect sense for those who don’t wish to be penalised for working hard and securing a financial future for themselves and their families. The Cypriot government recognise that the world is now a much smaller place than it was. As a result, it welcomes cosmopolitan, sophisticated people who might wish to travel and invest internationally. Cyprus encourages its citizens to conduct business across borders, but who want the stability of a sensible tax jurisdiction and a safe, pleasant, cultured environment to call home, if they so wish. Cyprus within Europe - for healthcare, education and property ownership. 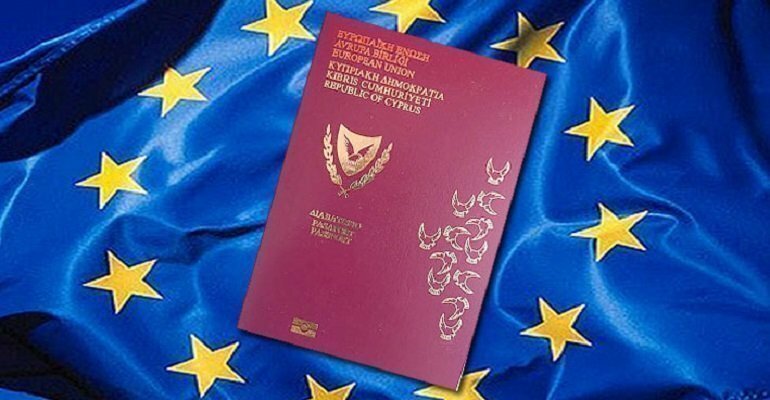 A citizen of Cyprus is automatically a citizen of the EU. The free movement of people and goods within that great institution means that a Cypriot citizen can work, live and conduct business within any of the 28 member states without hindrance; but their financial affairs are based within an environment that doesn’t burden those who are successful. EU membership also grants reciprocal healthcare arrangements, which is often free at the point of treatment. A European Health Insurance Card (EHIC) is an automatic right for any Cypriot citizen. Cypriots can also benefit from the right to attend any EU educational establishment, ideal for those wishing to have their children educated at good universities anywhere in Europe. As a Cypriot citizen, even if you don’t actually live in Cyprus, purchasing real estate within the EU is so much more straightforward than if one is outside the union. Citizens of Cyprus and tax regulations. The tax laws for Cypriot citizens are flexible in terms of splitting overseas tax allowances and the ability to have multiple capital investment locations. This would suit someone who became a citizen of Cyprus, who might already have assets in, say, Russia, China, or Brazil. Expenses can be optimised across multiple tax jurisdictions as far as the Cypriot authorities are concerned. There are favourable rates of personal and corporate taxation for citizens of Cyprus; some even see the benefits of moving their company HQ to incorporate in Cyprus for those very reasons. Citizens of Cyprus and their dependents. It is perfectly possible to automatically transfer one’s Cypriot citizenship status to children or dependents (in some cases those up to 27 years old). Future generations of Cypriot citizens will automatically have the right to be citizens of Cyprus without complicated paperwork. Anyone who has dependent children who are under the age of 18 at the time of application for citizenship of Cyprus are automatically included within that same application. Habitation regulations and dual citizenship for citizens of Cyprus. Dual citizenship is not discouraged by the Cypriot government, so citizens of Cyprus can remain citizens of their original country of residence. Nor is there any requirement for permanent residence status, so being a citizen of Cyprus doesn’t mean that you have to live there all the time; in fact, if you just want to take a holiday or two every year on that beautiful island, you’d be welcomed back as a citizen time after time! The island of Cyprus, its climate and the lifestyle. Citizens of Cyprus enjoy the island’s long summer weather, beautiful beaches and cosmopolitan restaurants, water sports and nightlife. Even if you don’t live in Cyprus, it’s a holiday paradise destination. There are sea caves, white sands and crystal waters of the west coast at Wild Beach, and there’s the cosmopolitan city of Nicosia in the north-east. Cyprus has something for everyone. Mild winters give average daytime temperatures of around 15 degrees centigrade, but in the high mountains there is even skiing in the winter. Cyprus has one of the lowest crime rates in Europe, probably because most people have a happy lifestyle! Nearly everyone on the island speaks English, so there is no need to learn a new language unless you would like to. As you can see, there are so many benefits to becoming a citizen of Cyprus, you’d be ruining a great opportunity by just doing nothing. To reduce your tax liabilities, secure a future for you and your family, and get the opportunity to live, work, love and play in a cosmopolitan capital of Europe, make your enquiry right here, right now, and get the process started. We look forward to hearing from you.